So... Pete got schooled by his Mum in a hot chili wings challenge today and we reckon that's awesome. The Waverley Brewhouse in Carousel is currently running a Hot Ones Challenge, and Pete's Mum just happened to be shopping at Carousel. Nek minute, this happened. 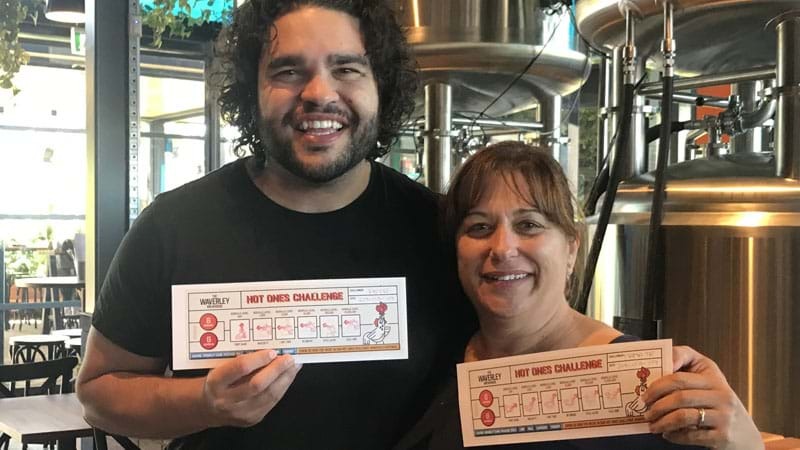 Of course, Pete and his Mum are exempt, but people who successfully complete the six wings / six levels challenge could win a $250 bar tab. That's pretty awesome. More details on the Hot Ones challenge at Waverley, right here.